William H. Woods, Boarder, M, Dec-1852, 47, WD, AL GA GA, Laborer. Ola Culpepper, F, 5, Dau, S, TX GA GA.
E-mail written 1999 to Lew Griffin from Ben S. Horton, Winston-Salem, NC, e-mail address. Thomas S. Culpepper, Son, M, Sep 1898, 1, Sng, GA/GA/GA. Adelia Culpepper, 1, F, GA.
Suason Culpepper, 4, F, GA.
Annie Culpepper, Dau, F, S, 2, --- , GA/GA/GA. Tad Evans, compiler, Pulaski County, Georgia, Newspaper Clippings, Volume III 1882 - 1887, Savannah GA: Tad Evans, September 2000. Ebenezer Cemetery, Cordele, Crisp, Co., GA. Transcription on May 21, 2001 by Jeff Hinkle. - Margiaam Culpepper, wife of W. C., June 22, 1858 - November 27, 1882. Dooly County Court of the Ordinary, Dooly Co. GA Marriages, 1846-1901, Salt Lake City, UT: Genealogical Society of Utah , 1964, Repository: LDS Family History Library - Salt Lake City, Call No. Film # 366,650 & 366,651. W. C. Culpepper and Janie Herrington on 20 Nov 1889 in Dooly Co., GA.
- Johnnie Shrouder Culpepper, December 23, 1902 - March 2, 1993. David Culpepper, Pvt #2 Regt GA Militia, Nov 15, 1823 - Aug 23, 1893. - David Culpepper, November 15, 1823 - August 13, 1893, C.S.A. - Argen Culpepper, February 1, 1829 - May 22, 1900. Dooly Co. Court of the Ordinary, Dooly Co GA Letters of Administration and Guardianship, Salt Lake City, UT: Genealogical Society of Utah , 1964, Repository: LDS Family History Library - Salt Lake City, Call No. Film # 367,144 - 367,145. Administration Letters Book D, page 30. Ulice V. Culpepper, Son, M, 16, Sng, GA/GA/GA. Elire V. Culpepper, Son, M, 6, Sng, GA/GA/GA. William C. Culpepper, d. 26 Apr 1923 in Crisp Co., GA, 13711-E.
- Adelia Ann Culpepper (Raines) Herrington, March 16, 1859 - February 6, 1931. E-mail written Aug 2012 to Lew Griffin from Jeff Hinckle, Rochester, Michigan, e-mail address. - T. T. Raines, June 9, 1859 - October 23, 1889. E-mail written 2006-2007 to Warren Culpepper from Donna H. Dye, e-mail address (May 2009). - Annie I. (Culpepper) DuPree, November 13, 1878 - June 14, 1962. William Culpepper and Mary Ann Pollock on 27 Dec 1857 in Pulaski Co., GA.
Orieso E. Culpepper, 11/12, F, GA. Friendship Baptist Church Cemetery, Pulaski County, GA; Transcription from Elliott Evans, Sr.
Lizzie Culpepper, 9 Apr 1870 - 3 Aug 1945. Charles D. O. Culpepper, 3, M, GA.
E-mail written 2003-2009 to Culpepper Connections from Morris Pate Culpepper III (#60878), e-mail address (Jul 2012). William Smoke, Other, M, S, Black, 13, Laborer, GA/GA/VA. Bohanon Cemetery, Pulaski County, GA; Transcription from Elliott Evans, Sr.
Belle Gamage Culpepper, 16 May 1882 - 27 Apr 1932. Fannie Adkins, Granddaughter, F, Feb 1895, 5, Sng, GA/GA/GA. Mary Culpepper, Mother-in-law, F,70, wid, GA/GA/GA. Married, at the residence of the bride's father, Mr. W. W. Culpepper, on Sunday evening, Dec. 5th, 1880, by J. O. Baskin, J.P., Mr. Albert G. Bagby to Miss Ora Culpepper, all of Pulaski County. Orin Culpepper and Albert G. Bagby on 03 Dec 1880 in Pulaski Co., GA.
Ed M. Culpepper, Brother, M, Sep 1878, 21, Sng, GA/GA/GA, Teamster. Ila M. Culpepper, Dau, F, 3, Sng, GA/GA/GA. Ila Mae Culpepper, Dau, F, 13, Sng, GA/GA/GA, Farm Laborer. 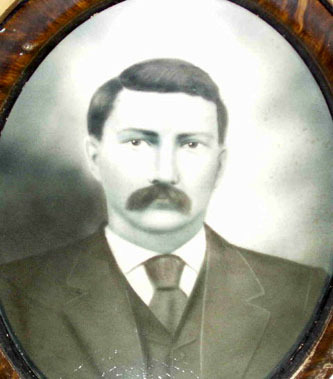 Charlie D. Culpepper, d. 29 Sep 1929 in Crisp Co., GA (2 day discrepancy with tombstone). Tad Evans, compiler, Pulaski Co., GA Marriage Records, 1808-1956, Savannah, GA: T. Evans, 1993, Repository: LDS Family History Library - Salt Lake City, Call No. 975.8523 V28e. Morris C. Culpepper and Mrs. Lucile Jones on 25 Nov 1903 in Pulaski Co., GA.
E-mail written 2003 to Lew Griffin from Mary Ann Adams, e-mail address. Ernest Delmar Culpepper, Cert 42104, Duval Co., FL, White, 07 Jul 1907 - 19 May 1980. James W. Culpepper, Volusia Co., FL, White, 19 Feb 1909 - 21 Nov 1974. Ernest D. Culpepper, Son, M, 21, Sng, GA/GA/GA. M P Culpepper and Maude Culpepper divorced in 1937 in Seminole Co., Florida. M P Culpepper and Sallie Curles divorced in 1940 in Duval Co., Florida. Morris P. Culpepper and Sally T Curls married in 1938 in Volusia Co., FL. M P Culpepper and Sallie C Culpepper divorced in 1944 in Volusia Co., Florida. Morris Pate Culpepper Sr., Vol 1952, Cert 11114, Duval Co., FL, White, Male, died Mar 1958. He was named for Edward Mobley, with whom his father, William W. Culpepper, served in Company E of the 4th Georgia Cavalty, CSA. Donal Culpepper, Son, M, 11, S, GA/GA/GA. Myrtis Culpepper, Dau, F, 2, Sng, GA/GA/GA. Wilcox County Court of the Ordinary, Wilcox Co., GA Marriages, 1858 – 1921, Salt Lake City, UT: Genealogical Society of Utah , 1962, Repository: LDS Family History Library - Salt Lake City, Call No. FHL US/CAN Film # 271,347. E. M. Culpepper and Belle Gammage on 6 Nov 1901 in Wilcox Co., GA, Book C-139. Donald Culpepper, Son, M, 1 0/12, Sng, GA/GA/GA. Mrs. Minnie B. Culpepper, d. 27 Apr 1932 in Wilcox Co., GA.
Edd M. Culpepper, d. 31 Jan 1954 at 75 years in Crisp Co., GA; Res. in Crisp Co., GA.
Shad Culpepper and Mamie Hill on 19 Feb 1905 in Pulaski Co., GA.
Shad Culpepper, Boarder, M, Mar 1882, 18, Sng, GA/GA/GA. Price Culpepper, Son, M, 3, Sng, GA/GA/GA. Ben H. Culpepper, Son, M, 4 0/12, Sng, GA/GA/GA. Obituary of William Quincy Culpepper, published 4 Sep 2007. Quincey Culpepper, Son, M, 5, S, GA/GA/GA. Decatur County Historical Society, compiler, Decatur County, Georgia: Past & Present, 1823-1991, Roswell, GA: WH Wolfe Associates, 1991. "Henry Culpepper" by J. B. Swicord, page 174. Henry Culpeper and Nancy King, 23 Sep 1858, White, Decatur Co., GA, Book A, p 305. Warren Culpepper, 1, M, GA.
Emma Culpepper, 1, F, GA.
Shermon Banks, Other, S, Male, B, 16, GA/GA/GA, Laborer. From Shirley Brook: I talked with my Aunt Carey C. Manire. Mary Alvie Culpepper Schubert (1891 Macon, Georgia -1953 Houston, Harris, Texas), daughter of Eula and Warren Ebenezer Culpepper was the owner of the pictures. She had them enlarged and framed from a smaller picture. Aunt Alvie always told Carey they were pictures of her parents. My Aunt Carey was raised by Alvie and Ed Schubert,and grew up knowing who the pictures were of. Biography* � At one time Warren was a sheriff in Scranton (now Pascagoula) MS. Unknown Newspaper. Funeral Notice: Died in Orange, Texas, Monday evening13 May 1907, W E Culpepper, aged 47 years. The friends and acquaintances of the family are respectfully invited to attend the funeral which will take place today at 3pm. Interment in Evergreen Cemetery. ATTENTION W.O.W. All members of Phoenix Camp No. 32, W.O.W. are requested to meet at the hall at 2 o'clock this evening to attend the funeral of our deceased Sovereign W. E. Culpepper. A.J. Lyons, C.C. Orange, Texas 14 May 1907. Charles Byron Culpepper, Beaumont, TX, age 30, born 5 Feb 1887 in Quincy, Florida, Boatman for A.S. Howland at Beaumont, Texas, No dependents, Single, Caucasian, Previously served three years as a Private (Cook) in the Infantry of the Texas National Guard, Claims exemption for support of a brother in the hospital for 5-6 years. Medium height, Medium build, Light Brown eyes, Black hair, Not bald, No disabilities. Registered 5 Jun 1917 at Jefferson Co., Texas. Tombstone: "A. M. Culpepper, 1830-1889." Warren Lawson Culpepper, Beaumont, TX, age 22, born 4 Oct 1894 in Savannah, Georgia, Patient in State Sanitarium at Carlsbad, Texas and not employed, No dependents, Single, Caucasian, No military service, Claims exemption for tuberculosis of lungs. Tall height, Slender build, Brown eyes, Brown hair, Not bald, No disabilities. Registered 25 May 1917 by County Clerk in Tom Greene Co., Texas and submitted to clerk at Beaumont, Jefferson Co., Texas. Della Kearns Culpepper, 10 Jan 1889 – 3 Jul 1977. E-mail written 1998-2007 to Lew Griffin and Warren Culpepper from Shirley Beth Culpepper Brook (#5957), e-mail address. Edrie M. Culpepper, 5 May 1910 - 25 Mar 1969. W. E. Culpepper (Mrs.), Orange Co., Oct 11 1904, 46125. Griffin Cemetery, Decatur Co., GA. Compiled by Mr. Eustus Howard Hayes in 1954-56, and transcribed and submitted to the USGenWeb Archives by Ida Kirkland Boyce from microfilm at the Georgia Archives, Drawer 91, Roll 62: "Margaret Annie Culpeper, 17 Nov 1862 - 13 Sep 1890." Correspondence from Deral Ann (Culpepper) Ivey to Gladys Vindal, 1990. Lucy Jones, Servant, Black, F, Aug 1846, 55, sng, MS/VA/MS. Emma Culpeper and W. E. Swicord, 19 Feb 1889, White, Decatur Co., GA, Book B, p 589. "Henry Culpepper" by J. B. Swicord, page 381. Joseph E. Craigmiles III, Thomas County, Georgia Marriages (1826-1925), Thomasville, GA: Craigmiles & Associates Publishing/Printing, 1991. J. E. Culpepper and Anne Mimms on 22 May 1894 in Thomas Co., GA.
Eddie Patrick Culpepper, Cert 28536, Hillsborough Co., FL, White, 06 Apr 1897 - 02 Mar 1985. Henery Culpepper, Son, M, Aug 1900 [sic... sb Aug 1899] (10/12), S, GA/GA/GA. St. Petersburg Times, St. Petersburg, FL. Obituary of Robert Husdon Culpepper, 22 May 1999. Ruth Culpepper, 25 Apr 1914 - 29 Dec 2001, Wife of Robert H. Culpepper, Interred 31 Dec 2001 in Florida National Cemetery, Section 135, Site 770. Robert Culpepper, Son, M, 2, S, GA/GA/GA. Annie E. Culpepper, Wife, 53, md @ 18, GA/GA/GA. Find A Grave Memorial# 56842380. Ophelia M. Culpepper, GrandDau, F, May 1897, 3, Sng, GA/AL/AL. Culpepper, Son, M, S, W, 6M, AL/GA/AL. John S. Culpepper, 1M0-5, 1 M30-40, 2 F0-5, 2 F10-15, 1 F20-30. Lasy A. Brown, 18, F, GA.
Dooly County Court of the Ordinary, Dooly Co GA Deed Books A-F, Salt Lake City, UT: Genealogical Society of Utah , 1964, Repository: LDS Family History Library - Salt Lake City, Call No. Film 366,674 et. al.. Poctus(?) Clark, 6, F, GA.
Ambrose Culpepper and E. A. M. Harp on 06 Dec 1866 in Macon Co., GA.
Mary Culpepper, 11, F, GA.
Ann E. Culpepper, Wife, F, M, W, 39, Keeps House, GA/NC/NC. J. D. Culpepper and Martha D. A. Rackley on 28 Aug 1866 in Dooly Co., GA.
Susan L. Culpepper, Sister, F, Feb 1885, 15, Sng, GA/GA/GA. John W. Culpepper, Aug 1869, M, GA.
Charles H. Culpepper, Son, M, S, W, 3, At Home, GA/GA/GA. Charlie H. Culpepper, d. 28 Feb 1957 at 80 years in Lowndes Co., GA; Res. in Lowndes Co., GA, # 03910. + Nancy Jane Culpepper, 6 Nov 1878 - 10 Nov 1939. John S. Culpepper, 21, M, GA.
John S. Culpepper, Son, M, S, 30, --- , GA/GA/GA. 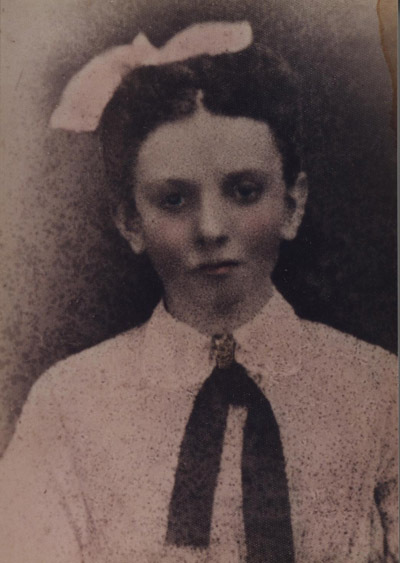 + Amanda Jordan Culpepper, 28 May 1856 - 1 Feb 1908. Guelda L. Hay et al., compiler, Macon Co., GA Cemeteries, 1836-1994, Warner Robins, GA: Central Georgia Genealogical Society, 1995, Repository: LDS Family History Library - Salt Lake City, Call No. US/CAN Book: 975.8513 V3h. + John S. Culpepper, 27 Aug 1806 – 6 Mar 1849. J. S. Culpepper and Amanda Jordan on 17 Nov 1880 in Dooly Co., GA.
+ Oscar Jordan Culpepper, 8 Aug 1881 - 14 Jun 1937. E-mail written 9 Jan 2011 to Warren Culpepper from Claudia Lawrence, e-mail address. + Temperance Culpepper, 14 Nov 1814 - 3 Feb 1891 (wife of John S. Culpepper). Emily F. Jourdan, Mother-in-Law, F, Feb 1833 (67), Wid, AL/AL/AL. Lucile Culpepper, Dau, F, 20, S, GA/GA/GA. Dora Culpepper, Mother-in-law, F, 74, Wid, GA/GA/GA. Martha D. Culpepper, d. 19 Feb 1927 in Turner Co., GA.